Looking for private in-home or in-studio Opera Voice lessons? Our Hope teachers are ready to get you started. Find your teacher today! Check out some of our most popular teachers near Hope, RI including Warwick, Providence, Barrington, Westborough and Shrewsbury. Learn to sing correctly leading toward a "Classical" sound while possibly growing toward a career in Classical Music. I am a pianist and singer who started learning to play the piano at age 6, and I love teaching all students of all experience levels. Growing up I competed and placed highly in many competitions including playing with the Symphony Orchestra in my home town of Spartanburg, SC after winning it's concerto competition at the age of 17. In college I took piano from Dr. Charles Fugo at the University of South Carolina and also started taking voice lessons from Tonya Currier and Walter Cuttino. While still in college I worked with The South Carolina Opera company for a season as a member of the ensemble and as Chorus Master. Professionally, I have worked with different theater and opera companies as a lead actor and as a musician. I have also worked in many different church positions as a musician and singer. perience with piano at all experience levels. I have experience teaching since 1995 while I was still in college. I primarily use Alfred and "Faber & Faber" piano methods for beginners. I teach how to read music, understand the theory behind the music, and the technique needed in a patient atmosphere at the pace of the student. I also teach you how the piano works and the different types of pianos as well as the history of keyboards used for different classical music. The lessons are geared toward the goals of the student no matter what level is desired. In teaching singing, I will teach you the basics necessary to create a healthy and relaxed sound through technique. 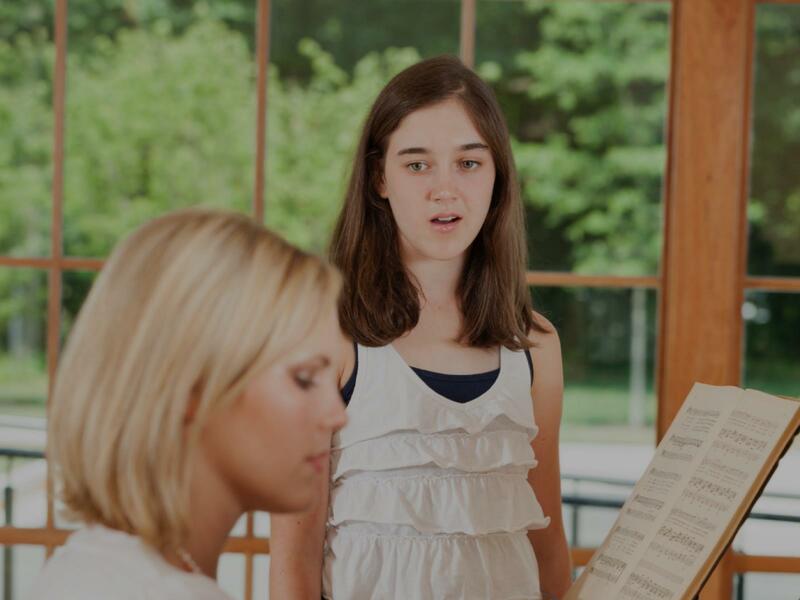 With experience singing music ranging from classical to contemporary church music to musical theater, I can teach you how to use the voice in a way that will promote a long time of singing without adding stress to the voice. I will work with any style of music and will give you the technique and confidence needed to become a better singer. In my home studio is a piano and books with big windows to look out. Pianos are an upright piano and an Alesis Synthesiser. Seating is available for parents as well. I expect the student to have a piano or an electric keyboard at home for piano lessons. For voice lessons a keyboard is not required but is helpful. I primarily teach piano in a classical style using either "Faber & Faber" or Alfred Methods for piano lessons. For voice, I teach all my students to sing in a way that will be the most beneficial to the health of their voice. Doing this is helpful to all styles of singing. I have been studying voice since 1995 in England. I have a Doctorate and Masters in Opera Directing, and Bachelors in Vocal Performance and Theatre Arts. While receiving my degrees, I participated in operas and musicals as well as oratorios. I am a soprano, but I am familiar with all voice types. I believe that each person needs to discover their own voice, and I want to help you discover YOUR voice. My background in directing and acting is helpful in assisting with role preparation, not just vocal technique. Music and the arts have been a large part of my life since I was a child. I have performed in numerous operas, musicals and plays. Favorite roles include the Witch in Into the Woods, Agathe in Der Freischutz, the Countess in Marriage of Figaro, and Fastrada in Pippin. I have a degrees in Opera Directing, Vocal Performance and Theatre Arts. I started teaching acting classes in 2001, and have coached voice since 2010. I have studied voice with James Gardner, former head of opera at Julliard School of Music, Matthew Oglesby, vocal area coordinator for the WTAMU School of Music, and Darlene Wiley, head of voice department at Butler School of Music, UT and William Lewis, dramatic tenor with 35 years experience singing at the Metropolitan Opera. As a bass opera singer and professional voice over artist, I am dedicated to creating a healthy and beautiful sound with my own voice and the voices of my students. I will not come into our lessons saying there is a single way to sing. In fact, many genres require a great deal of varying vocal techniques and stylized voices. What I will do is help to lay a foundation in healthy singing so that you feel comfortable singing any genre. We will start by ensuring that your breath and vowel placement feels comfortable and from there move into repertoire of your choosing or some that I recommend based upon your interests. You will leave your tenure with me empowered to continue your passion and career for singing long after your lessons end. Music is meant to be shared. Together, we will help you to share the music and passion that you hold so dear. ill even begin to see changes in how you speak as our core focus will be on breath control, vowel placement, and healthy vocalizing so that you may feel comfortable singing any genre of music. While we will focus on classical training, I want to work with you on whatever repertoire you’d like! If you’re preparing for your school’s musical, a great karaoke with friends, or just some fun shower singing, I will get you there. Awesome teacher! Looking forward to learning and improving my voice at my future lessons! I had a terrific experience working with Matthew. He helped me both technically (coloratura, breath support, etc.) and with musical interpretation. I would highly recommend him! I have been teaching for 10 years. I don’t just teach the technique of singing. I build a personal relationship with each student and help them not only to achieve their goals but also to help them grow in their confidence in their abilities. I am so excited to work with you! I love singing and have a passion for sharing music with others. I am currently working on my Master's degree in in Vocal Performance and apply everything new I learn to my performance and teaching. I believe in training well-rounded musicians and in helping students to embrace their own intuition as an artist. I'm a professional opera singer who is pursuing a master program in Voice in Mannes School of Music right now. As my professional stage experiences, I sang with some big professional opera companies for many years. I performed leading roles in opera productions of New York Lyric Opera Theatre, Ankara State Opera House and Samsun State Opera House and had many concerts with the orchestras. During my active performing life, I've been giving private voice lessons. And in my perspective, If you have professional stage experiences, you can be more equipped for teaching, because sometimes the knowledge might not be enough to teach, it is required to show the students how it should be exactly. I feel full of energy and willing to share the music with you! I am a 2018 graduate from Berklee College of Music. I am a classically and contemporarily trained vocalist. In addition to this I am a pop singer & songwriter. I offer voice and songwriting lessons! During our lessons we will focus on technique, style & music theory. I like to start the lessons with vocal warmups, a technical exercise and dive in to music that my students love! I truly believe music can change the world and is a very important part of our daily lives. I would love to teach you! Nice to meet you, my name is DeDe! I am a pop singer, songwriter and performer from Pennsylvania. I graduated from Berklee College of Music with a degree in Music Business, with an emphasis in Voice. to share my passion of music with you and teach you lessons! I look forward to hearing from you! Dede is a great teacher, really enjoy my lessons. Can't find a teacher in Hope, RI?